In celebration of E3, the largest convention in the computer and video game industry, MojoDesk announces Mojo Gamer Pro, a professional level electric sit-to-stand gaming desk. Mojo Gamer Pro adjusts to the perfect height and ergonomically designed to keep players moving, alert, and comfortable no matter how long the game lasts. 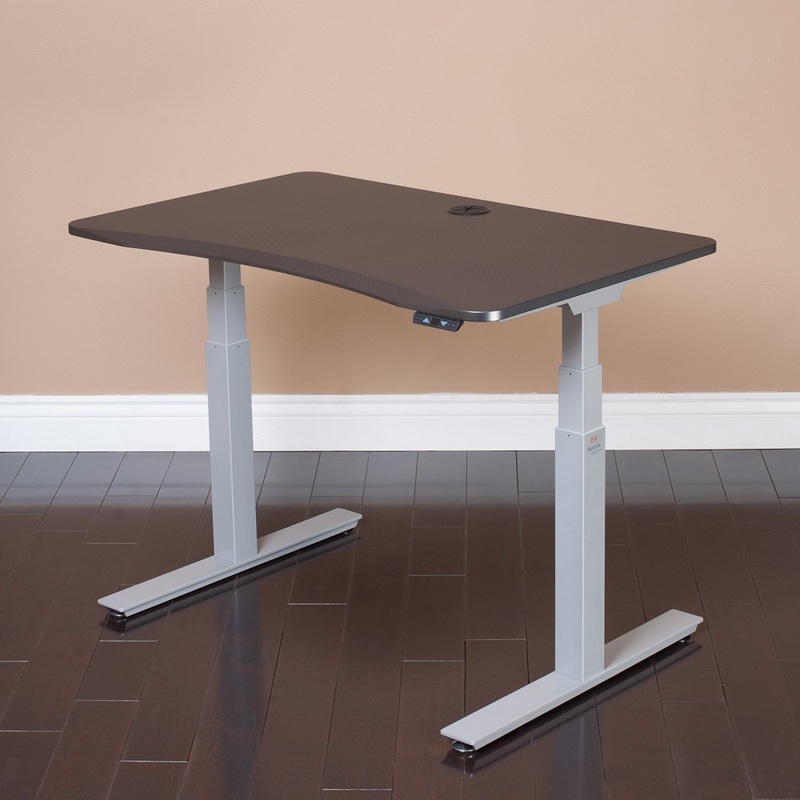 Mojo Gamer Pro is a Professional Level Sit-to-Stand Gaming Desk. 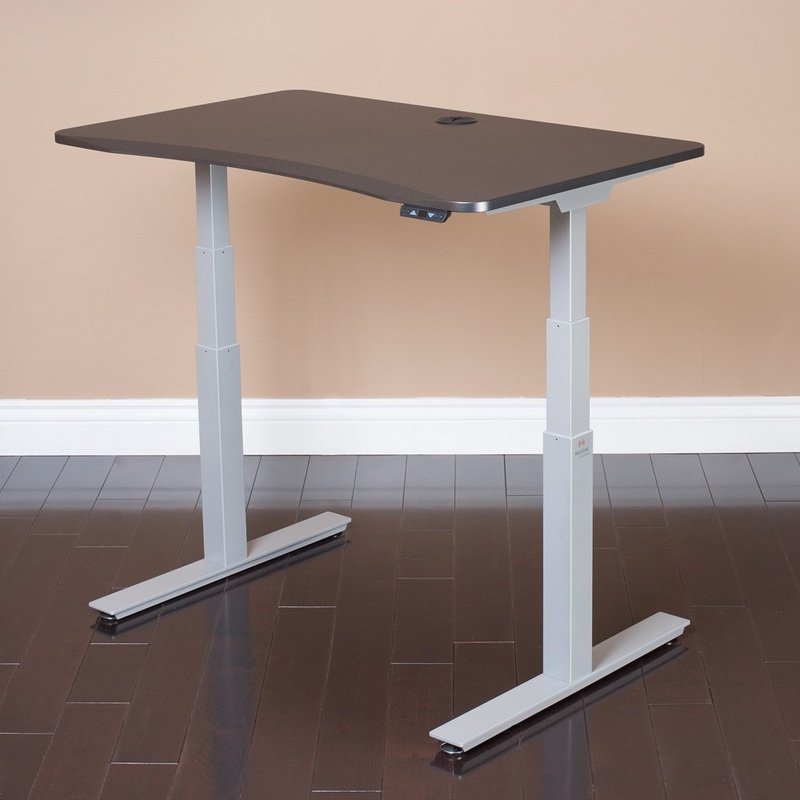 "We designed the Mojo Gamer Pro standing desk for the ultimate gaming experience. It's ergonomically designed, adjusts to all heights and has zero keyboard, screen, or controller bounce. Plus it looks spectacular with a modern style desktop and loaded with accessories." In celebration of E3, the largest convention in the computer and video game industry, MojoDesk announces Mojo Gamer Pro, a beautifully designed sit-to-stand gaming desk now available at getyourmojo.com. Mojo Gamer Pro is built to national ergonomic standards to keep players moving, alert, and comfortable no matter how long the game lasts. The professional level gaming desktop has a beveled edge that aids with wrist and forearm comfort – whether for a quick stream or hours long raid. And it's more than just functional. 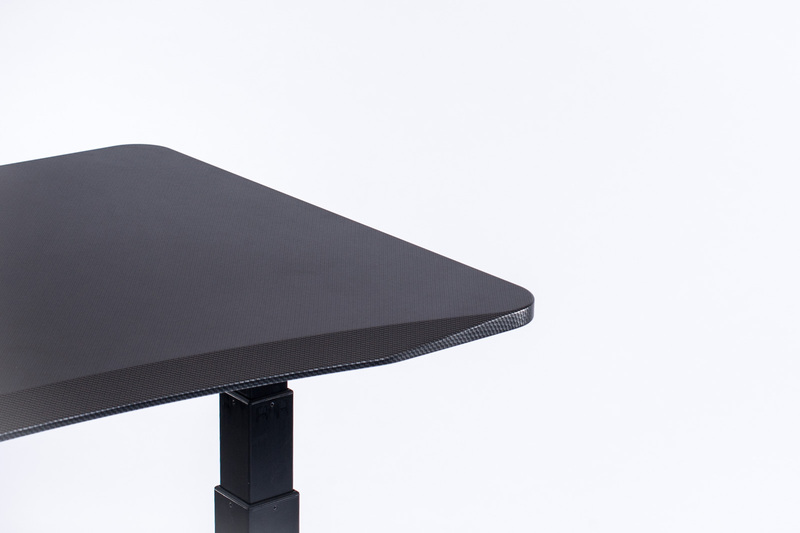 The carbon fiber desktop style is intended to match and compliment gaming gear and the steel frame eliminates keyboard, screen and controller bounce. Mojo Gamer Pro is loaded with gaming-focused accessories to keep players' attention on the action. The monitor arm and CPU hanger provide maximum desktop space for a USB microphone, webcam, and avoids tangled wires from headsets, controllers, and keyboards. The included magnetic cable management prevents hanging cords underneath the desk for a clean, uncluttered look. 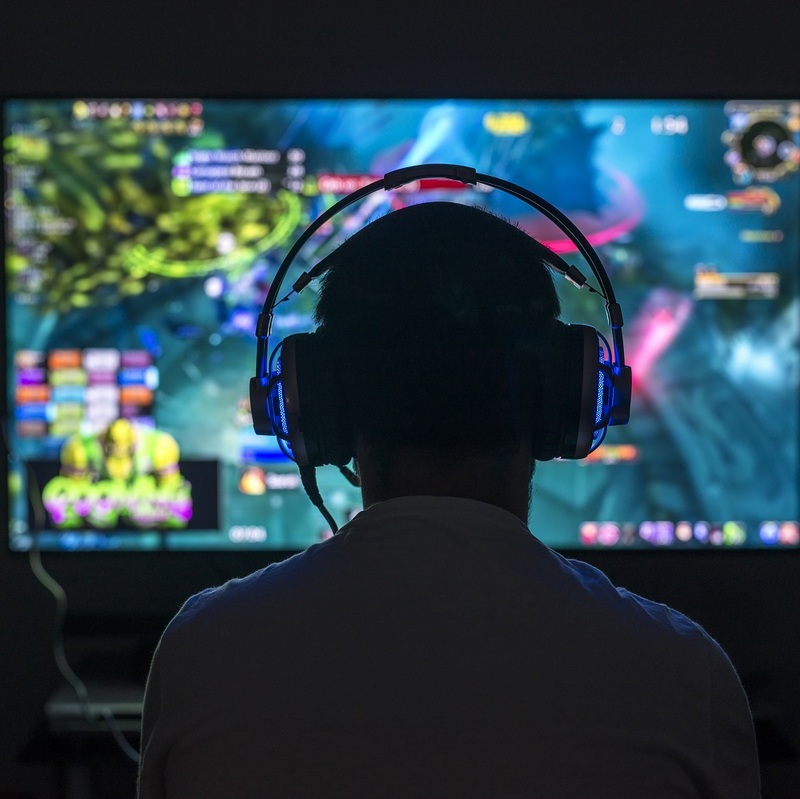 As of 2018, the average age of gamers is 35 and over 50% of gamers use a PC or dedicated console. But Mojo Gamer Pro isn't just for adults. It adjusts to every height on-demand to facilitate any user or mood. 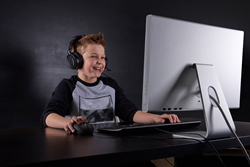 "You always want to minimize your children's screen time, but Mojo Gamer Pro is intended to keep them moving and changing positions while playing inside," said MojoDesk Founder Barry Carson. And it's safe. Mojo Gamer Pro has been tested for durability and stability by BIFMA, an independent organization which set the standards for the commercial furniture industry. Additionally, it is also equipped with a tip-prevention sensor. This safety feature senses a collision – such as a chair, knee or pet – and immediately stops moving. And Mojo Gamer is UL Greenguard certified for air safety, the most stringent chemical emission standard in the world. Besides the casual gamer, the desk was also designed as essential equipment for professionals making a living in online gaming tournaments or uploading their skills to YouTube. Whether you have a compact laptop or heavy-duty rig with widescreen monitors, mic, and lighting, Mojo Gamer Pro can withstand all of your hardware. Electric-powered 3-stage steel telescoping frame fits heights up to 6'5"
Desktop Sizes: 48x30" 60x30" 72x30"
MojoDesk has perfected the design of adjustable-height standing desks with a history of excellence of selling ergonomic solutions to businesses and government agencies such as NASA, the FBI and thousands of 911 call centers. Designed and made in the US, MojoDesk is a new consumer and small business product division of Xybix which has been in business since 1991. MojoDesk and Mojo Gamer Pro are designed and manufactured at their 40,000-square foot factory in Littleton, CO.